All tissues and organs of the body may develop cancer (an abnormal overgrowth of their constituent cells). Every organ (liver, lungs, spleen, kidneys and so on) contains a supporting framework of fibrous connective tissue as well as nerves to relay information to and from the brain. Most organs also contain muscle tissue and special cells (histiocytes or macrophages) whose function is to clear debris. Cancers of connective tissues and nerves can therefore occur anywhere in the body. "Cancers of connective tissues and nerves can... occur anywhere in the body." There are a multitude of names for these tumors including Schwannoma, peripheral nerve sheath tumor and neurofibroma for those of nerves and fibroma, fibrosarcoma and spindle cell tumor for fibrous tissue tumors. Muscle tumors include rhabdomyomas, rhabdomyosarcomas,leiomyomas, leiomyosarcomas and granular cell tumors (myoblastomas). The tissue of origin is not always clear and granular cell tumors may be of nerve (Schwann cell) origin. Fibrous histiocytoma is a subtype of these cancers, possibly originating from a primitive cell, which can develop into either fibrous tissue or histiocytes. 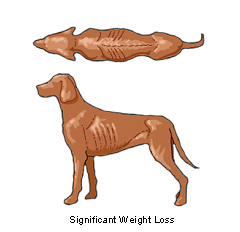 Little is known about the cause of these tumors in dogs. Some fibrous tumors in young cats and multiple ones in older cats may be initiated by feline sarcoma retroviruses (recombinant forms of feline leukemia virus - FeLV). The virus disrupts the cell DNA genome and causes chromosomal changes. Since many older cats have developed an immunity to the virus, in older cats solitary tumors are not FeLV virus associated. All these are unusual tumors in internal organs, although fibrous tumors are common in the skin and mouth. Rhabdomyosarcoma may occur in the urinary bladder of young animals. 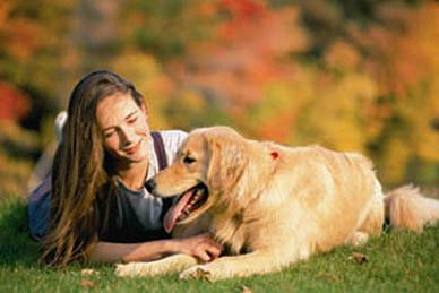 Granular cell tumors (myoblastomas) are most commonly found in the tongue of dogs. One has been recorded in the tonsil of a cat. Fibrous histiocytoma and malignant fibrous histiocytoma (giant cell tumor of soft tissue) are uncommon in dogs and rare in cats. It is doubtful whether any are truly benign. They usually occur in older animals but a malignant one has been recorded in a 4-month-old dog. 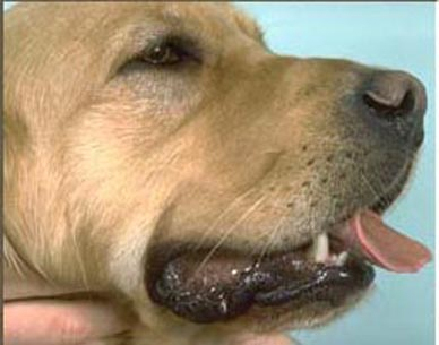 Multiple nodular lesions have also been described in young dogs. The most obvious effect of most connective tissue cancers is a lump. Depending on its site, this may cause abdominal swelling or have physical effects on the surrounding structures, such as blocking the intestine or preventing urination. Others may cause other clinical signs such as difficulty in breathing if they are in the chest. Malignant cancers may spread through the body by seeding in body cavities and invading the blood, lymph and nerve transport systems. "Weight loss due to loss of body fat and muscle is common in malignant cancer." Weight loss due to loss of body fat and muscle is common in malignant cancer. The immune system is often damaged which allows cancers to develop and infections to persist. A few tumors induce signs that are not readily explained by local or distal spread of the tumors. These are known as paraneoplastic syndromes. Some are due to abnormal hormone production by the cancer. Examples include low blood sugar, which can be associated with some muscle tumors. Your veterinarian may suspect cancer based on your pet's clinical signs. 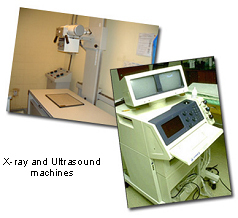 X-rays and ultrasonography can indicate the presence of abnormal lumps, but these non-invasive techniques are incapable of distinguishing non-cancerous nodules and true cancers. In order to identify the tumor type, it is necessary to obtain a sample of the tumor itself. Needle biopsies through the skin are rarely diagnostic even when guided by ultrasound. In the majority of cases, exploratory surgery is required to obtain the appropriate diagnostic samples. Your veterinarian will submit the tissue samples, either a biopsy or small part of the tumor or the entire mass, to a specialized laboratory. Using a technique called histopathology, the tissues will be prepared and stained before being examined microscopically by a veterinary pathologist. The pathologist will diagnose the disease based on the appearance of the tumor sample. If your veterinarian removed the entire mass (excision biopsy), the pathologist will also try to assess whether the tumor was completely removed. The histopathology report typically includes the name of the tumor and a prognosis (what will probably happen) that includes an indication of the probability of local recurrence. The treatment for all these tumors is surgical removal, usually of the lump but occasionally more radical such as removal of a whole kidney or liver lobe. These tumors do not respond to chemotherapy. The tumors are sensitive to radiotherapy but this is unsuitable for tumors in internal sites. Cancer rarely disappears without treatment but as development is a multi-step process, it may stop at some stages. The body's own immune system can kill cancer cells but it is rarely 100% effective. Rarely, loss of blood supply to a cancer will make it die but the dead tissue will probably need surgical removal. The body's immune system is not effective in causing this type of tumor to regress. "Histopathology will give your veterinarian the diagnosis that helps to indicate how it is likely to behave." Histopathology will give your veterinarian the diagnosis that helps to indicate how it is likely to behave. The veterinary pathologist usually adds a prognosis that describes the probability of local recurrence or metastasis (distant spread). How and when will I know if the cancer is permanently cured? The prognosis of fibrosarcomas depends on the location (for ease of excision and margin of healthy tissue available for removal) and grade (determined by cell divisions (mitotic index) or the speed at which the tumor is growing). Although it is unusual for these cancers to spread to distant parts of the body (metastasize), many are locally invasive. Rhabdomyosarcoma is a highly malignant tumor capable of widespread metastasis. Granular cell tumors (myoblastoma) do not recur after full surgical removal nor do they metastasize. Leiomyomas and leiomyosarcoma are a continuum from benign to malignant so prediction of behavior is not always easy. However, although they may spread (metastasize), this occurs late in the disease and often they spread only to the local lymph nodes (glands). The outlook is usually good following surgery. Fibrous histiocytoma and malignant fibrous histiocytoma (giant cell tumor of soft tissue) exhibit a broad range of morphology (appearance) and behavior. Most recur and a few metastasize. They are usually locally invasive so are difficult to remove completely. It has been suggested that the histiocytic ones are more malignant than fibrocytic. No, these tumors are not transmissible from pet to pet or to people by contact or through body fluids.